". . . Will Taylor is a serious composer who bridges classical and jazz traditions. His "Bob and Dave" partakes of Stravinsky and Ravel without really imitating them, yet is a full-fledged jazz composition for string quartet and jazz band." We also have many friends and collegues in the San Antonio area including the great jazz violinist Jonathan Ravaneau. Here's a review of one of Strings Attached's San Antonio performances. As a meeting planner you always take extra care selecting entertainment for your audience. I had an amazing experience working with Will Taylor and his band Strings Attached and I highly recommend them. They are very professional, and the quality of their music is out of this world! We recently had an event in San Antonio, TX and it was a great success thanks to the delightful music Strings Attached provided. My attendees (health care professionals) were coming from all over the country and everyone had an amazing time. Meeting planners, wedding planners, event coordinators and everyone planning their next event, if are looking for the best live music band that offers a great variety of sounds and rhythms, call Will or Amanda and they will take great care of you! 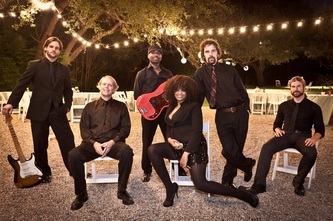 The Strings Attached cover band is one of the best wedding bands bands in San Antonio. Though we're based just a few miles north in Austin, we have been bringing our eclectic catalogue of music for over 20 years to the Alamo city. You might wonder how we can be good at so many genres. We start with a core of best and finest Texas musicians, experienced enough to deliver classic rock, Motown, jazz standards and current hits all with the same mastery. Be sure to see our videos above and below! Looking for a band with more then just wedding experience? Our members have backed national acts and Grammy winners from P Diddy, to Pearl Jam; to Shawn Colvin and many more. For the past decade we've produced our own concert series in Austin that has been broadcast on three radio stations and included appearances by artist like Bob Schneider, James Mcmurty and many more. We've done years of rock tribute shows including 5 Beatles albums, a Zeppelin show, Pink Floyd's Dark Side of the Moon and more. If given the choice, we're fairly confident you'd like a band with this kind of experience at this momentous occasion. Possible instrumentation includes: Bass, drums, electric and/or acoustic guitar, trumpet, piano/keys, and of course Will's signature electric violin. Then we add one or two of our charismatic and versatile singers, according to your tastes and what kind of songlist you'd like which is the key of our success among the best wedding bands San Antonio. Our formula is made from a huge and constantly growing repertoire, stellar players and singers, and the vision and direction of a great leader- Will Taylor. See more Strings Attached images. Its hard to keep my comments short...From the moment that we contacted Will Taylor, we knew this was the band for us. While my wife's family is from Austin, our wedding in Austin was more of a destination wedding given where everyone else was coming from. Because of this, we really went all out in creating a weekend to really showcase Austin. We had a rehearsal dinner planned at Thurman's Mansion at the Salt Lick on Saturday night and wanted a band that could deliver an upbeat classic rock style show, but also needed a band for our Sunday brunch reception at the Four Seasons which we wanted an acoustic and intimate performance for, so we couldn't decide if we needed to book two bands, but hoped we could find one person who could handle everything. We are huge music fans and were very particular in what we were looking for each night, and even had a particular song that we wanted played for our first dance that was a little out of the ordinary, so we knew the band would need to learn it. We reached out to multiple bands that were referred to us and some that we found on our own. We found Will Taylor after seeing him listed both on the Four Seasons website and on The Knot. After listening to some performances we were confident that he would be able to handle both events. From the moment we contacted Will and his representatives, we were treated with the utmost professionalism and good Austin nature that we were looking for. After explaining what we were looking for, they were able to come up with a plan for both events using an array of their musicians. We set up a Saturday night "electric" show featuring a 5 piece band that covered classic rock and Texas country favorites that dazzled the crowd for 3 solid hours. For Sunday, Will put together an acoustic group with Karen Mal as the lead singer that could not have been better suited for a Four Seasons Brunch on a Sunday morning. While you may be reading this and saying "how much did that cost you? ", Will was very attentive to our budget and we were able to find common ground on a price for both events that in retrospect I consider an incredible value! I would recommend Will Taylor and Strings Attached to anyone, for any event. The professionalism that they showed, setting up without any instruction, and adapting to whatever we threw at them, far exceeded any expectation that we had. Please feel free to contact me at ehothem@cox.net if you have any additional questions about our experiences with Will Taylor. 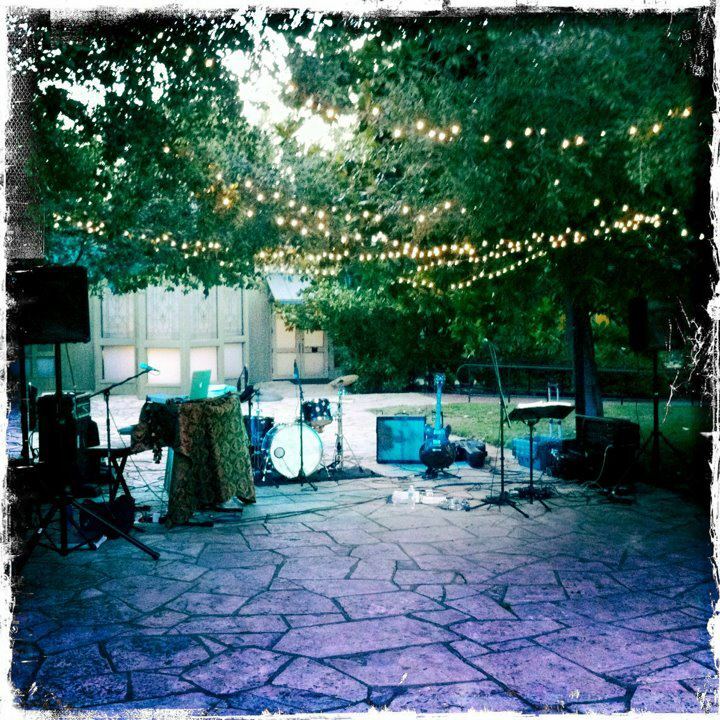 We truly want to make your wedding, event, or party music dreams come true. 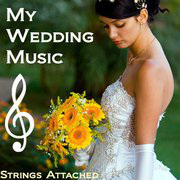 P-Diddy, Pearl Jam, Eliza Gilkyson, Shawn Colvin and many more have trusted their music with Strings Attached. Give us a call.